Useful, but a little pricey. A little pricey, but, overall, satisfied with this tray. Cons:Traytop area a little small. A little pricey. Just a tad disappointed in this item, but my mother likes it and that is what counts. The tray works well. 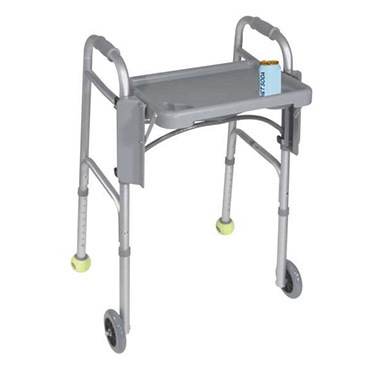 It was easy to attach to the walker and goes up and down easily, but doesn't seem to be prone to fall down.